Cherry has a hidden talent. She can see things other people can't, and she decided a long time ago to use this skill to help others. As far as the rest if the town is concerned she's simply the kind-hearted young woman who runs the local bakery, but in private she uses her gift to add something special to her cakes so that after just one mouthful the townspeople start to feel better about their lives. They don't know why they're drawn to Cherry's bakery - they just know that they're safe there, and that's how Cherry likes it. She can help them in secret and no one will ever need to know the truth behind her gift. 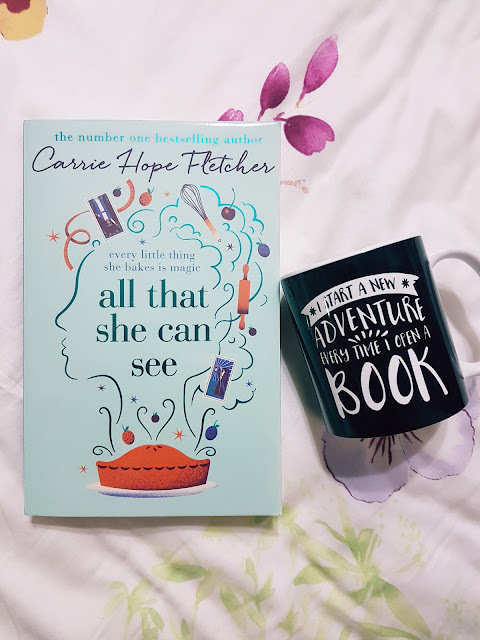 All That She Can See by Carrie Hope Fletcher is about a woman who can see feelings and she tries to help the community with her ability. A little bit of magic, an adventure and much life lessons to be learnt. I cannot contain my excited when I received the book and knowing that this was not the author's first book she must have done something write. A little bit background on her, she is a singer/songwriter and now a book writer, talent is oozing from this author. The main character Cherry will capture you with her personality, her beliefs and most of all her purpose. It starts with some background of her and how she overcome those obstacles, throughout she continues to strive to be better. Her character growth is consistent and wonderful to read about. As for the male counterpart of the book, he appears like a strong wind shaking our heroine. Their interactions are fun to read about and slowly you're hoping more for the two of them. You would think that you could predict the story when you read the summary at the back. It seemed like a girl meets guy, then guy hates her and they fall in love. Many a times I was caught off guard for the incidents that happened around them. It was truly enjoyable reading about their reactions towards each other and those events that happened. 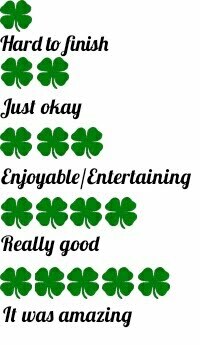 The author is able to keep the plot line smooth and fun without leaving loopholes. "We're people.As much as we try to be perfect something is always going to go a little bit awry somewhere along the way. While we should accept whatever consequences come our way as a result, none of us should be defined by our mistakes, nor should we be subjected to ridicule by some silly little ninny"